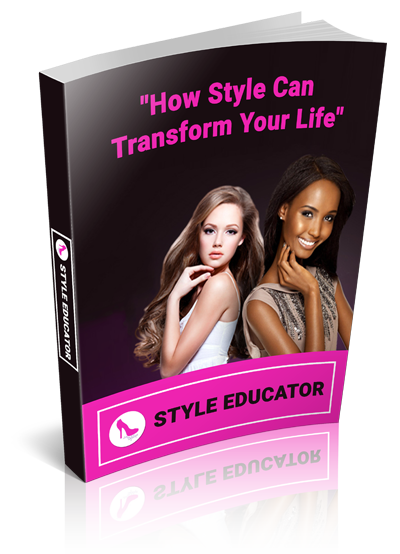 Many people desire to become a stylist because they want to dress celebrities and want to see their work published in a magazine but most of them fail to realize how much work ethic is required for this career and don’t see the true purpose of a stylist. It is not about getting people to dress like you or making sure someone is wearing the latest trends. A stylist’s role is to bring to life the inner beauty and confidence that everyone possesses while ensuring their clients are dressed to fulfill their goals in life. ​Amber Renae is a style icon from Australia who is well versed in the fashion industry. She is the Fashion Editor of Australian Women’s Health and Fitness Magazine and the resident stylist of Australia’s largest media network, Southern Cross Austereo. Amber has also been recognised with her appointment to the board of the inaugural Mercedes Benz Fashion Festival and was selected to discuss ‘Innovation in Fashion’ with the Australian Government’s Parliamentary Secretary for Trade. In addition, she has styled celebrities such as Michelle Bridges, Firass Dirani and Deborah Mailman for red carpet events such as the Cannes Film Festival and the GQ Man Of The Year Awards. Amber Renae is “The Style Engineer” because she was an engineer before she became a part of the fashion industry.​ If you’re like Amber, then you know what it’s like to have a good job but to always seek something more because your passion is in another career. She knew from when she was a little girl that she was destined to become a part of the fashion industry as she used to create pieces for her friends. So she eventually decided that it was time to live her dream. She started her own clothing line in Australia that was highly successful which was worn by many celebrities such as Paris Hilton at the peak of her fame. She was then featured in the second season of Project Runway Australia. Although she enjoyed this experience, she believed it scarred her from design as she found it difficult to get work as a designer afterwards and she needed to take a break from it as well. Amber Renae moved on from design and followed the path of styling because it was the easiest thing for her to do. But little did she know that this was a true blessing because she later realized that the role of a stylist was more suited to her natural gifts and abilities as she loves helping people and changing people’s lives. Just like any entrepreneur, Amber Renae has faced many challenges while owning her own businesses. She says that everyday there’s always a new challenge that you need to overcome and conquer. Also, it never gets easier, you just get used to figuring it all out. She says a truly successful person is one who is able to pick themselves up time and time again and keep moving forward. Although there have been many challenges throughout her career, she has and continues to have many highlights. One of her biggest highlights have been educating other stylists through her online courses.. She loves knowing that she’s making an impact on their lives as they’re learning what they need to know about the styling industry. She admits that she cries when she gets positive feedback from her students. Amber Renae knew there was a need to start her styling courses because she knows how hard it can be to get training as a stylist since she received very little guidance when starting her own styling business. In addition, she would always have a ton of interns helping her that needed a lot of help understanding tasks. There was a particular intern she acquired that was great at her job and had so much experience already from her fashion degree and other internships at Vogue and Elle but she wasn’t progressing. ​At that moment, Amber realized that if she didn’t understand what she needed to do to improve then no one else would. Amber understands that there’s no need to be selfish with her knowledge and gifts, and therefore decided to create the course so people will know how to be a successful stylist instead of figuring most things out on their own. She’s been told that people learn more from her course than some of the more expensive courses with other companies. Amber Renae’s advice to aspiring entrepreneurs is to put yourself out there more than you’re comfortable with and to get started before you get confident. She says it’s also important to create opportunities for yourself instead of waiting for opportunities to come to you. Every opportunity that she’s gotten has been a result of her networking and marketing herself to get people to do business with her. She believes entrepreneurs have to be a lot more proactive and thick-skinned than people think you need to be. Amber Renae believes it is essential for a stylist to join online communities and to learn from experts in order to be successful. She says people need to find like-minded people who are going through the same things as you so you can learn together while learning from someone who is an expert in the business. Amber Renae’s future plans are to continue expanding her online academy to include an online dating profile program that will assist people with personal branding and copyrighting. ​Amber Renae has brought her dreams to reality while helping others to do the same in the process. She is truly “The Style Engineer” as she develops solutions to help her clients and students reach their goals in life and I look forward to seeing how her style engineering continues to grow.